Found thirteen cents today- a dime and three pennies- while running errands around Staten Island. I'm pretty disappointed in my Yanks lately... perhaps they'll wake up and smell the coffee soon. Today we headed over to the Bronx Zoo and found a total of 39 cents in the form of a quarter, a nickel, and nine pennies. Finding change here is always pretty hard since they dispatch cleaners regularly. I did happen to find and bring home these three animals: a Butterlfly, a Lion, and a Wolf. Gotta love daytrips! Today we ventured out into the city and found a total of $0.53- four dimes, a nickel, and eight pennies. We'd originally found 54 cents but one penny is a 1938 wheat so I've sifted it out for resale later at the next coin show. We also found a 1989 Canadian penny and a 2006 Bahamas penny (worth a lot less than what it's printed on lol). 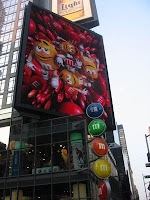 We were trying to get to the Central Park Zoo but with all the train service outages affecting the metro area, we settled upon Times Square where we stuffed our faces with M&M's, ate at the Olive Garden, and hung out with Geoffrey at the Toys 'R Us flagship store. Tomorrow, if the weather permits, we'll go out again.. this time to my native stomping ground Da' Bronx. Today we found a total of 15 cents- a dime and five pennies. I found the dime and a penny at the gym and hubby found the four pennies while running errands. We got to play some handball today and I feel completely exhausted! P.S. I heart Celia Cruz caballeros! Azzuuuucar! Today we found 6 cents- pennies all - as we traversed the town. My oldest got her braces put on today... no more gummy bears for her! Didn't go out today- spent all day cleaning and watching the baseball games. Maybe we'll find something tomorrow. Sometimes it pays to be firm with children! Today we headed out to the mall and I got my haircut finally. My daughters were itching for Applebees but I told them it would be better to buy cold cuts and italian bread at the supermarket. They complained but eventually acquiesced (there was no choice really lol). As we walked into the supermarket, I noticed my daughter was stepping on a folded piece of paper. When she moved I spotted a familiar number 10 on it and quickly scooped it up. The bill was cold to the touch as though it had been there for a little while. My guess is people kept stepping on it and not looking down. I was very happy since I hadn't found a bill that great since Halloween 2006 (twenty dollar bill find) and it was under similar conditions- no one looked down except me! The nickel and penny were found in the Staten Island mall. Submit this article to ximmy.com! Today we found a total of $0.44- three dimes and fourteen pennies. We also found a canadian penny which will go into our foreign money changepot and rest there until we can find a way to sell it or use it during a future trip. All three dimes and twelve pennies were found in the handball courts by South Beach. Most of the coins were extremely hot to the touch so we picked them up with napkins and settled them inside our stylish changepot purse. The other two pennies were found by Sandy Bri during her outing with grandma. She wanted to hunt for more change but grandma couldn't stay out in the sun too long (I can't blame her!). Hope your summer is going well! We stayed home the entire day. No change. Nada. Rien. Zip. Nyet. Non. Today we found a total of $0.24- two dimes and four pennies. The first penny was found outside of CVS where we purchased goodies for our family trip to the movies. The two dimes and a penny were found at the checkout counter of a nearby grocery store. 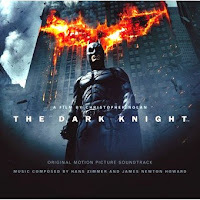 We went to go see the matinee of the long anticipated summer blockbuster The Dark Knight. It was worth every penny! The remaining two cents were found at Wendy's where we feasted on old fashioned hamburgers and reminisced about the the film for an hour or two. Despite the immense heat, we were very happy to spend some quality time together. Today we found two pennies- both laying under the hot sun awaiting rescue in Elizabeth, NJ (my good friend Joe made the rescue). We watched the film Hellboy 2 and had a very interesting lunch at Jimmy Buff's. After watching a spot on the Travel channel, we decided to take this special trip to try the 'italian hot dog' firsthand. It was a hit!!! If you're in Jersey, I highly recommend you take a drive over to try this sandwich! Found a total of $0.11 today- two nickels and a penny while getting some groceries in the morning. It is hot as heck today!!! I think that will be it for going outside today. I found a total of $0.33- a quarter, nickel, and three pennies- while having some fun with my friends in Atlantic City. While I don't expect to strike it rich, it was more fun to see my old buds and reminisce about youth. My oldest daughter found nineteen cents while at the museum with her dad: making it a grand total of $0.52. We found a total of $0.59 today. Our first find- a shiny quarter- was found while shopping in Costco. Our next find- six cents- was found right at a busy intersection during rush hour. The next twenty three cents were found in a bank parking lot. One dime is in pretty banged up condition- hardly recognizable actually. The last find was a nickel on the floor across the street from my house. No money found yesterday as I was home all day with the kiddies. 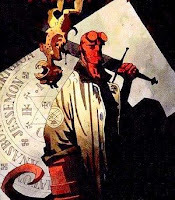 I'm actually pretty amped up to go see Hellboy 2 tomorrow. Love that comic book!! Found a total of 28 cents- a quarter in front of Dunkin Donuts and three pennies in Subway. The quarter was definitely a shock considering the lack of silver finds in front of stores lately. Aside from the two quarters in Brooklyn, it looks like more people are hanging on to their loose change! Side note: On my way to run an errand, I saw four cars on the side of the road in different streets with their hazards on. The fourth car just stopped short of a gas station. A very sunburnt man came out of the vehicle, muttering curses under his breath. Apparently his gas tank gauge was stuck on F(ull) meanwhile he had no gas. He had just traveled from South jersey and claims he was swindled by the mom and pop gas station. His tank was nowhere near full yet he paid the full amount. I'd read about Jersey Gas station violations earlier this week but i'd never thought this to be true. Anyhow, the man paid $143.00 to fill his tank and he was NOT a happy camper. Keep an eye on your tank-- way too many cons going on right now! Side Note #2: As some of you may have heard already, we were interviewed by radio correspondent Sally Herships regarding our Change Finding exploits. Ms. Herships sent us an email stating that the story has been postponed until further notice but when it airs, she'll let us know. It was still a great experience to get interviewed as a family about our change hunting hobby. I can't wait until we get to the next $1,000.00!! Today we took a trip to Brooklyn and we had a ball! My daughter found a wet five dollar bill in the parking lot of the Brooklyn museum! We also found two quarters on top of a newspaper machine in the street. I wish they had these newspaper machines in Staten island! We were very impressed with the exhibits. My oldest daughter is into art now. I think our next trip is going to be museum row in the city. Found a total of twenty cents in the form of a dime, a nickel, and five pennies while on our after dinner walk. The weather seems so dismal- we're hoping it'll clear up this week so we can get out more. We found no money yesterday or today. We did attend a farm team game yesterday and had a blast! Hopefully tomorrow will be better for finding change. 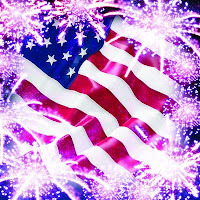 Hope you all enjoyed your fourth! Today hubby found a penny in the parking lot as he took our lovely Calico to get spayed. She's got one of those crazy space-like elizabethan collars on to prevent her from getting to the wound. Maybe tomorrow will be a better day.